I can’t believe I am writing this post from home in New York. OMG, I’m back already! 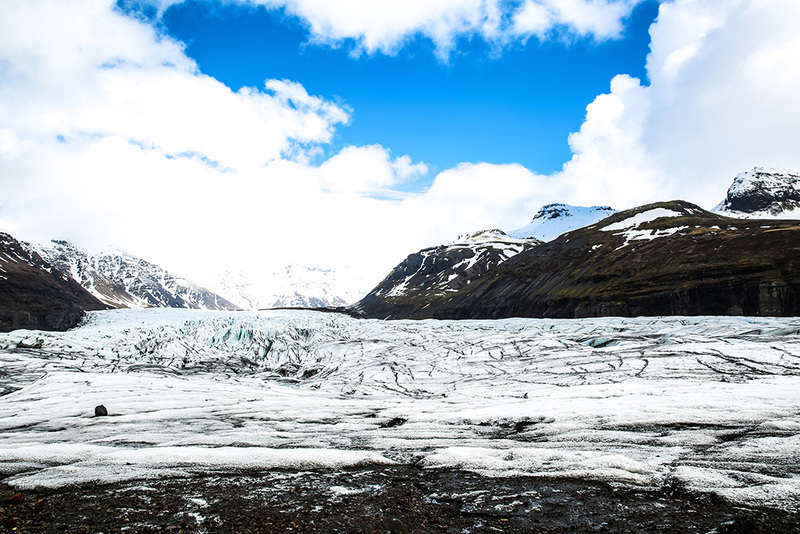 On the second day of our South Coast trip with Extreme Iceland, we hiked the fourth largest glacier in Iceland. This MADE our trip to Iceland. The weather started sunny and calm, then it went into dark and cloud. Of course, our luck, it started to hail storm at the end of the hike. Those little pellets hurt! 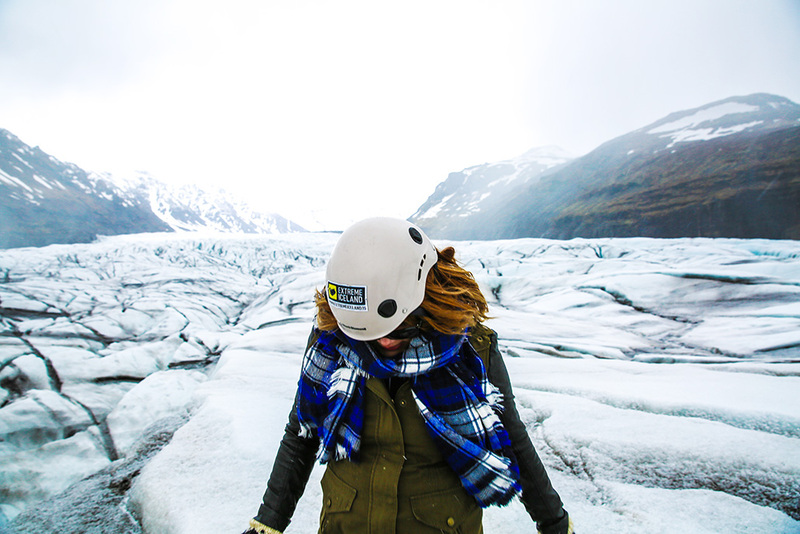 But, without the extreme climate changes, this experience wouldn’t have been as epic. Ragnar, our guide was pretty much awesome. We joined another group and got our gear on. Of course, I didn’t have proper footwear, so I had to rent a pair of hiking shoes for the crampons to fit. Well, as I’ve learned, it’s a traction device you tie onto your shoes with spiky knife-like bottoms. 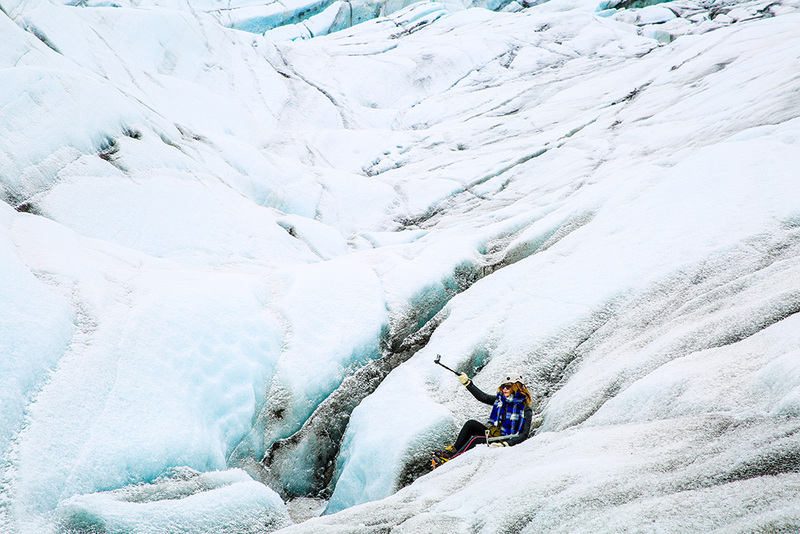 We also need a helmet (in which I poorly put on, and no one bother to tell me it was crooked the entire time), an ice axe and your adventurous spirit. It turned out I didn’t really need the ice axe (to catch myself falling) and the hike was a lot easier than I anticipated. I was sure I was going to slip, or something. Blue skies before the hail storm. 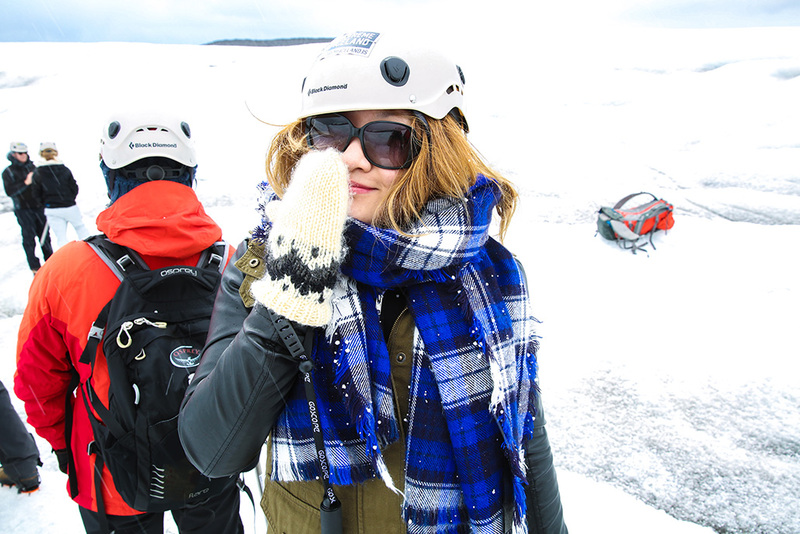 I CANNOT wait to edit the GoPro videos..
I’m in absolute love with all of your Iceland photographs. What lenses did you use for this trip? You have a spectacular eye and talent! Thanks for your quick response Tineey! I just followed you on Instagram. Can’t wait to see more of your great photography in the future!! 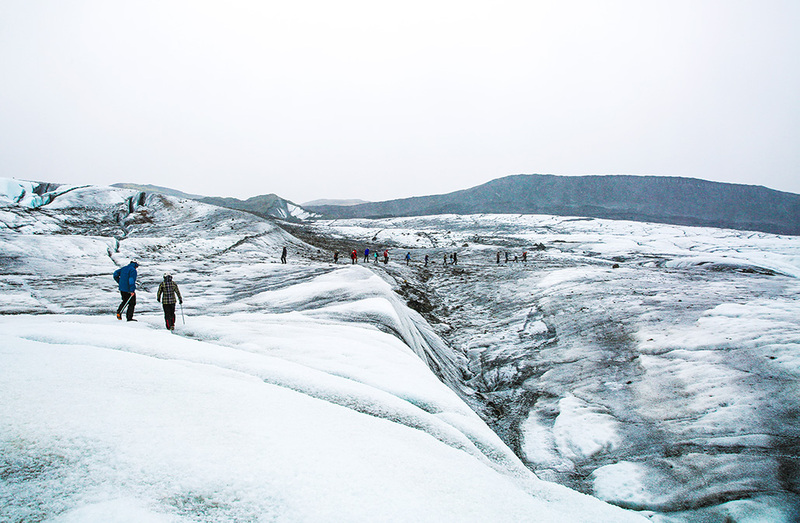 We are getting married there in April on the black sand beach… afterwards we are thinking of doing this glacier walk or going to the jokulsarlon lagoon on a party bus! Which would you recommend? Wow! First, congratulations!!!! That sounds like such an amazing wedding! Now this is a tough choice. I loved both places so much. 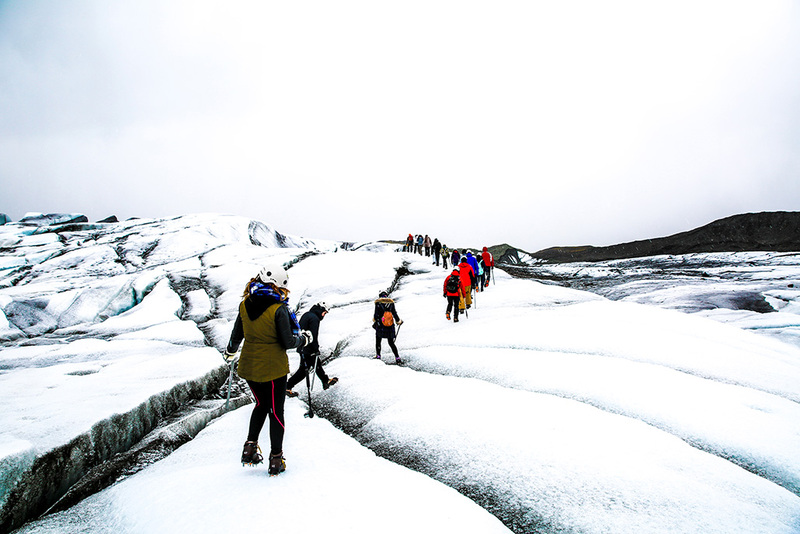 I think this glacier walk would be a truly memorable activity to share, especially if you haven’t done anything similar. 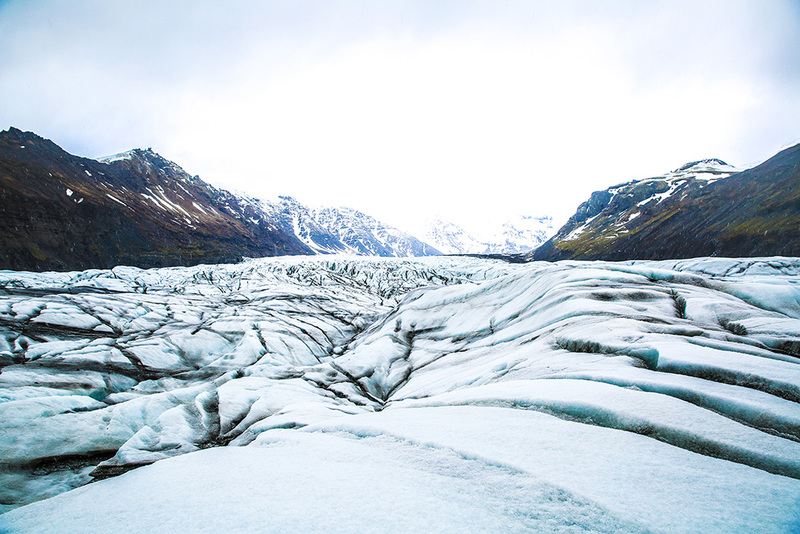 The Jokulsarlon Glacier Lagoon has some breathtaking views. If you choose that, may I recommend taking a sail around the icebergs?